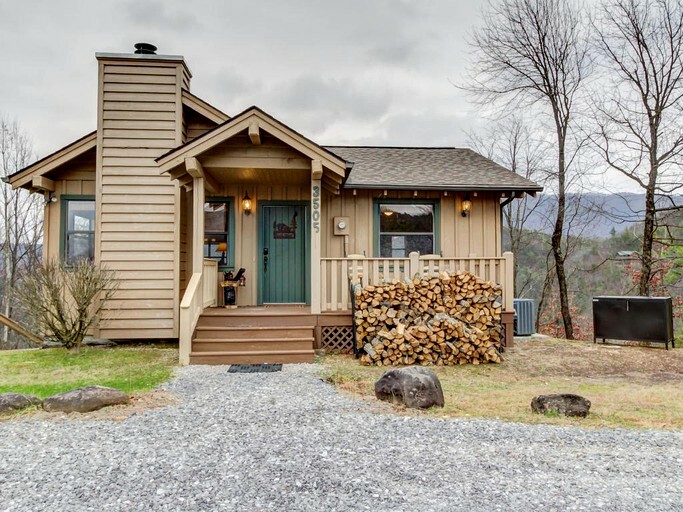 This stunning cabin in Sevierville, Tennessee, can sleep up to six guests and it is the perfect relaxing mountain getaway. 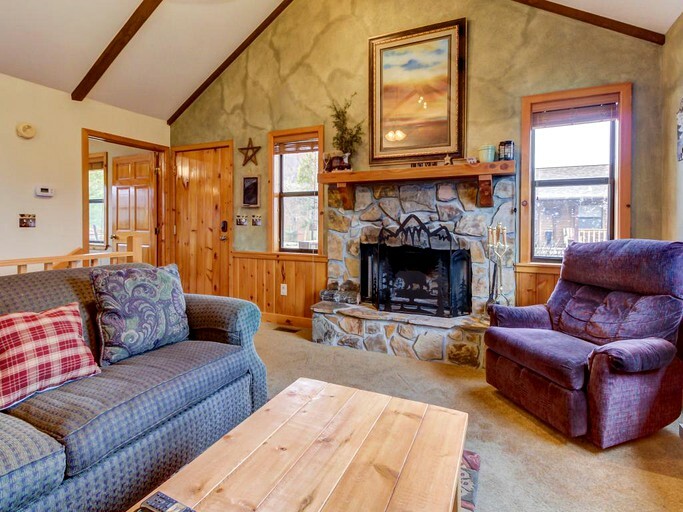 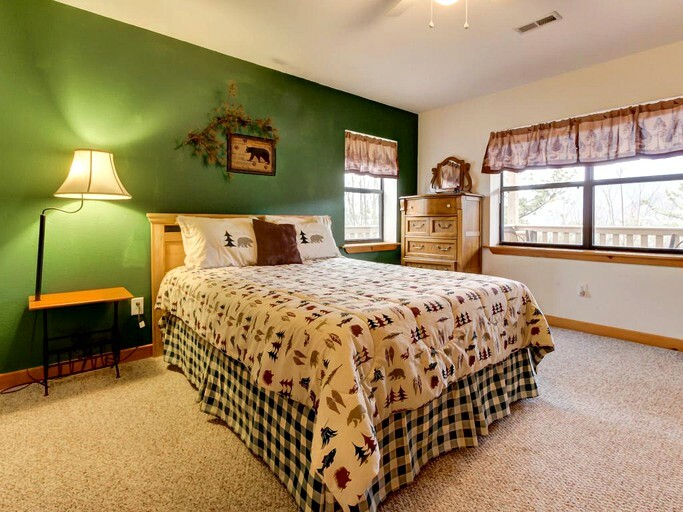 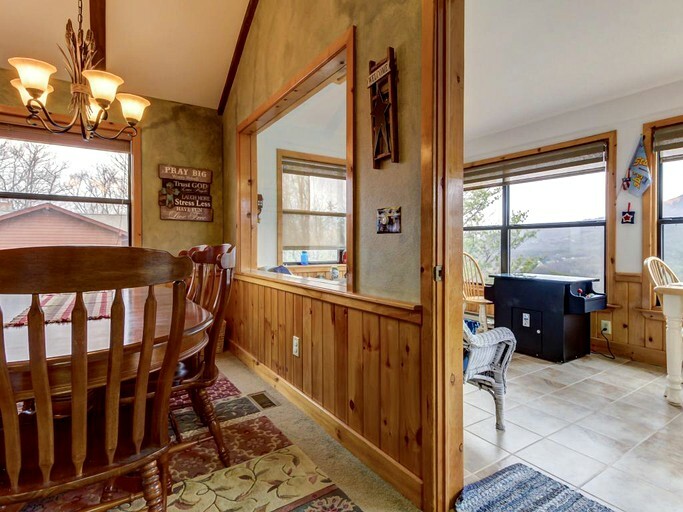 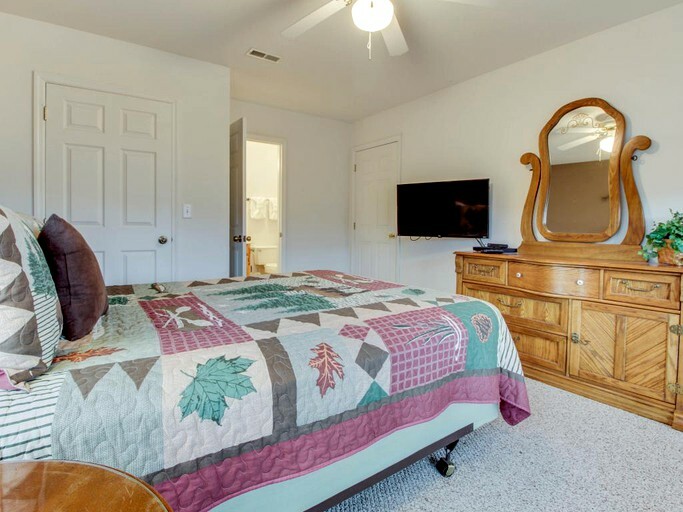 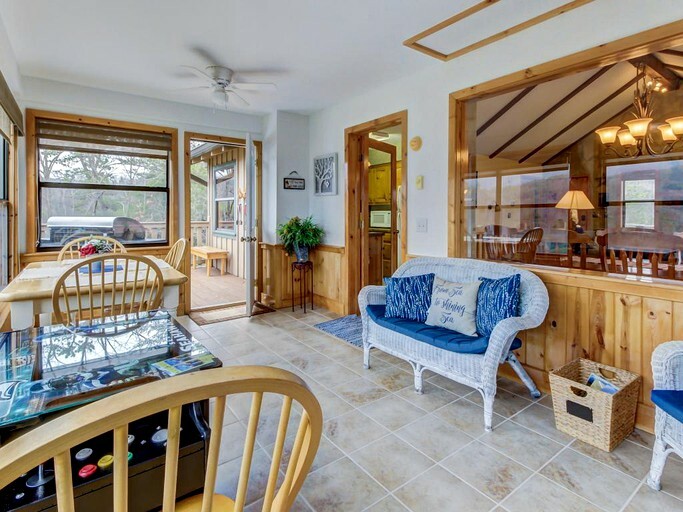 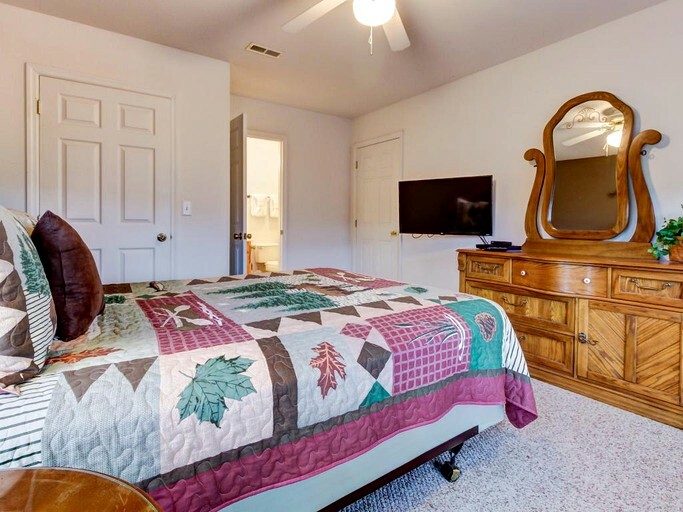 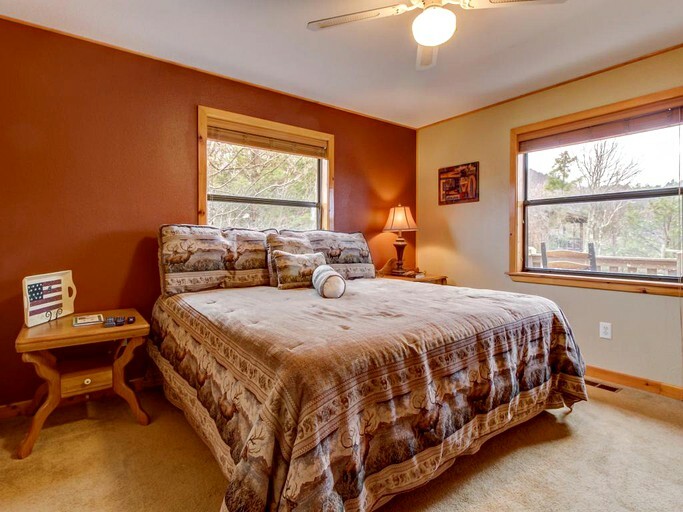 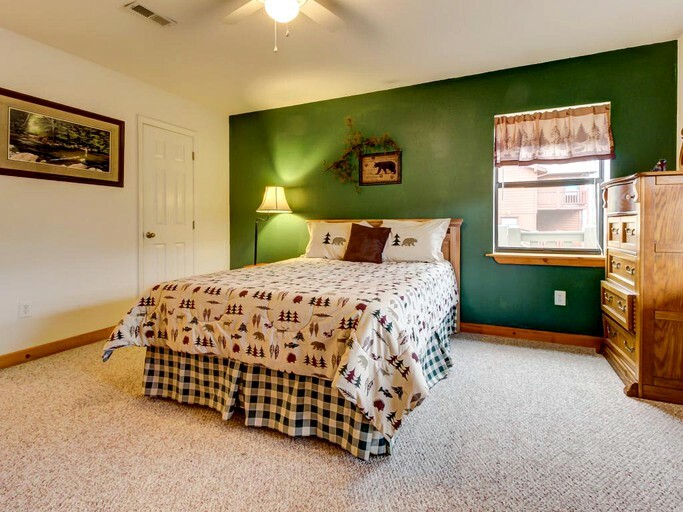 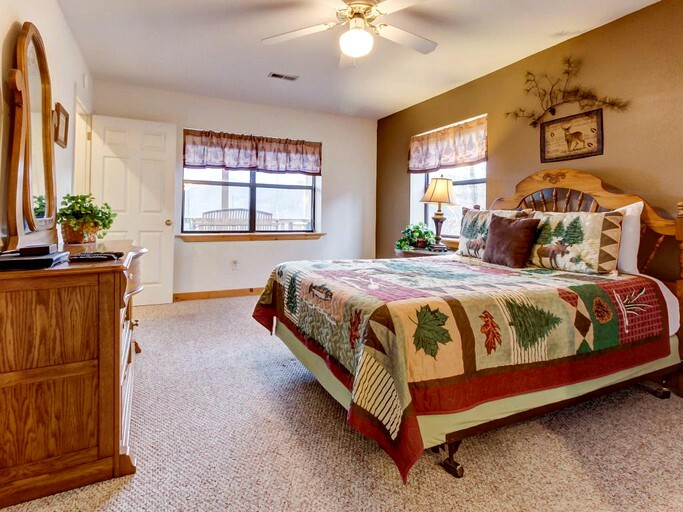 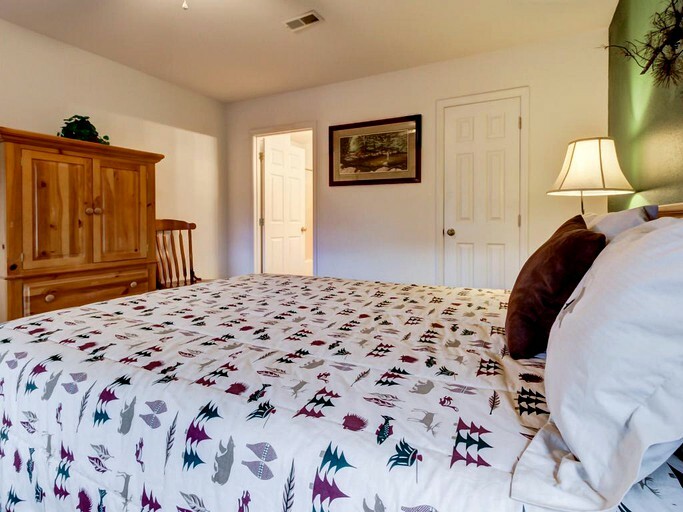 A warm and inviting cabin, guests are sure to feel at home as soon as they walk through the door. 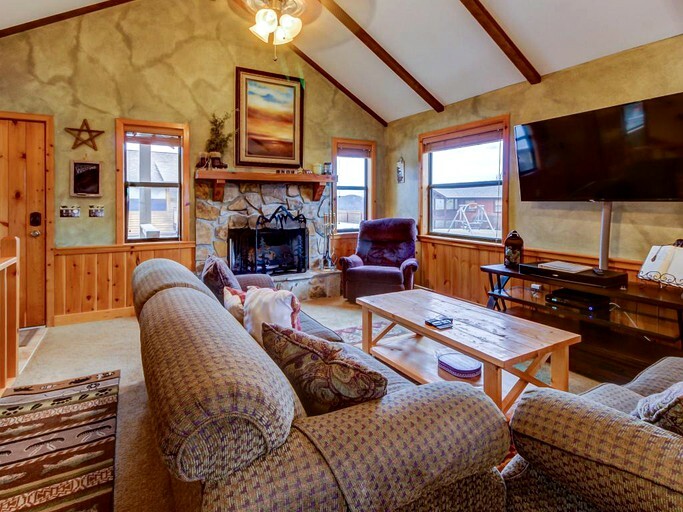 The main living area is great for socializing with plenty of comfy couches, a stone feature fireplace, and a Smart TV with a DVD player. 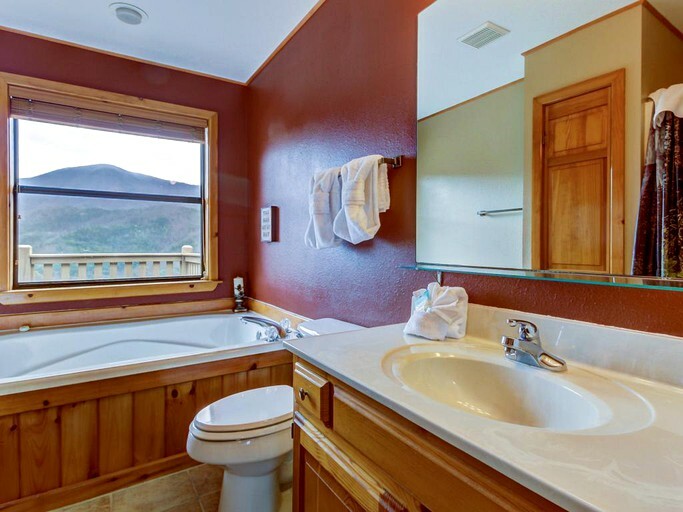 Guests will also be kept entertained with high definition Bose speakers, and Wi-Fi is installed throughout. 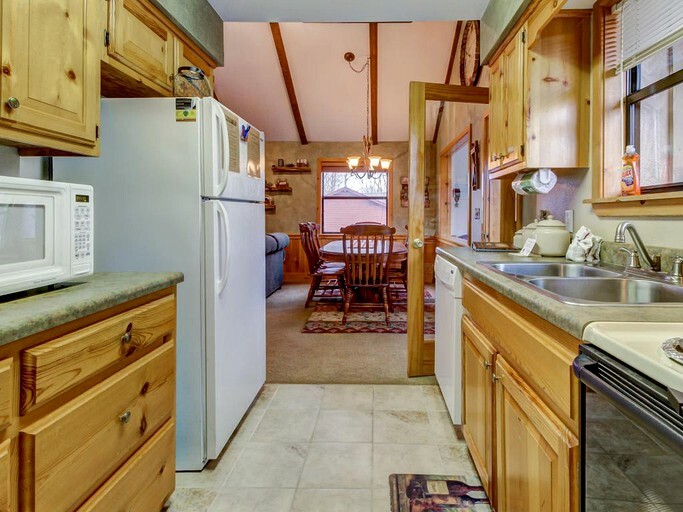 The fully-equipped kitchen has everything guests need to cook tasty meals including an oven, a refrigerator, a dishwasher, and a coffee maker. 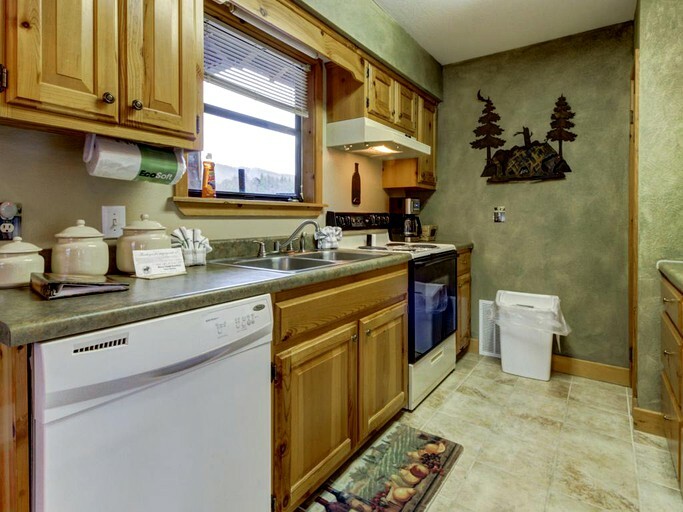 There is also plenty of cooking utensils and dishware. 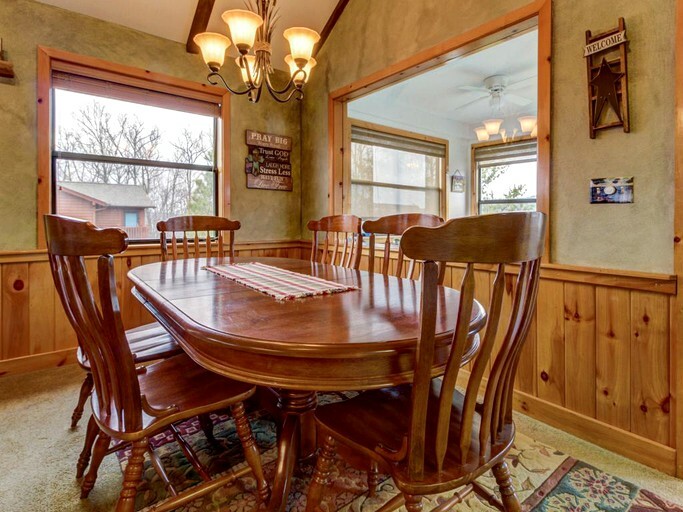 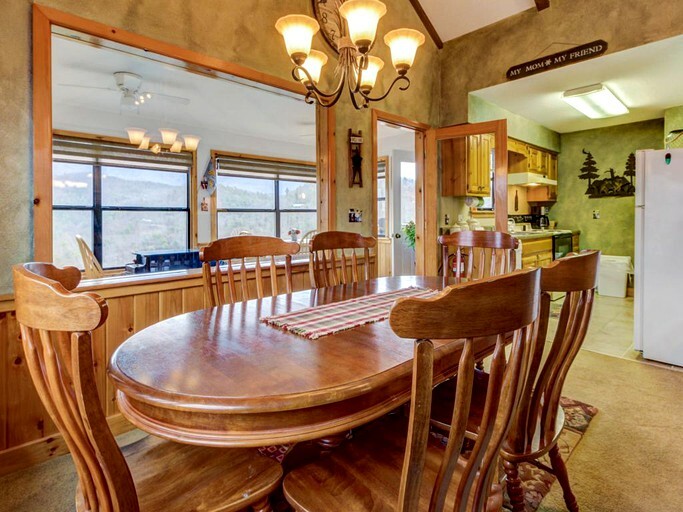 The kitchen then leads onto the large wooden dining table that seats six guests comfortably. 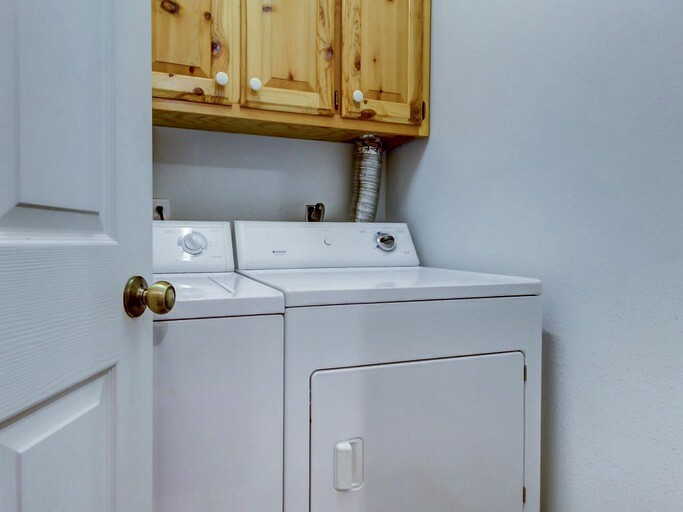 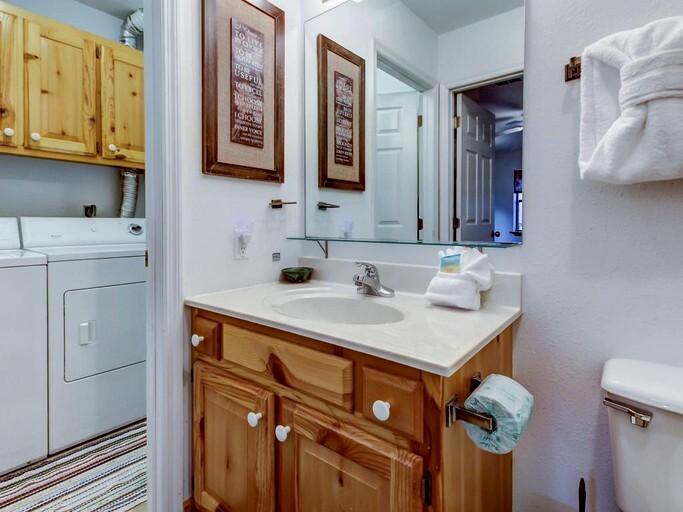 There is also conveniently a clothes washer and dryer. 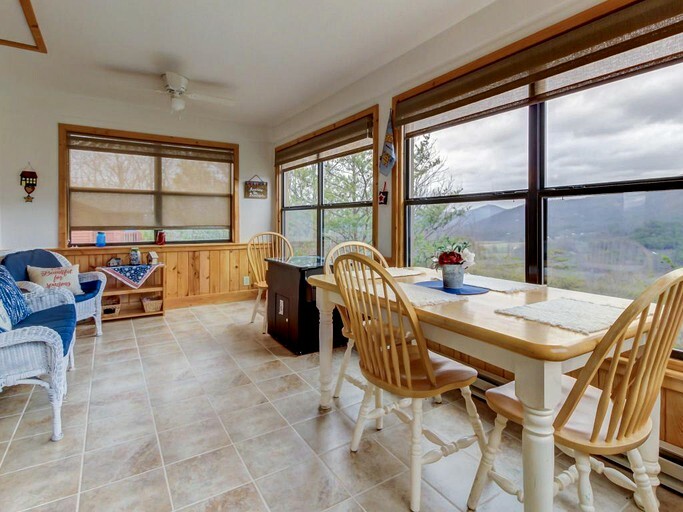 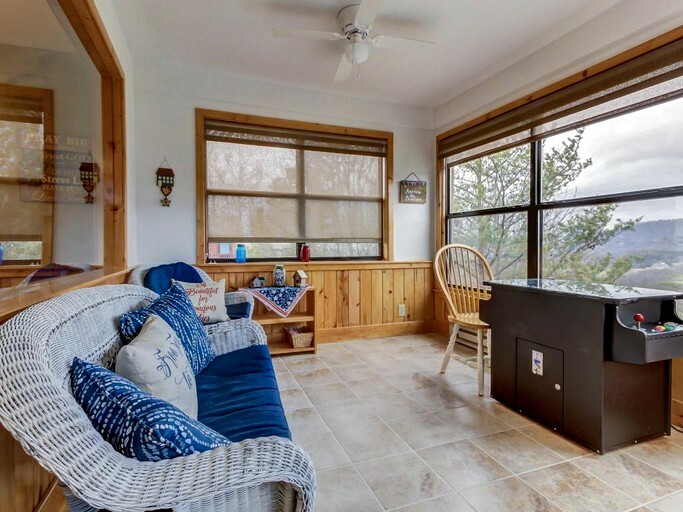 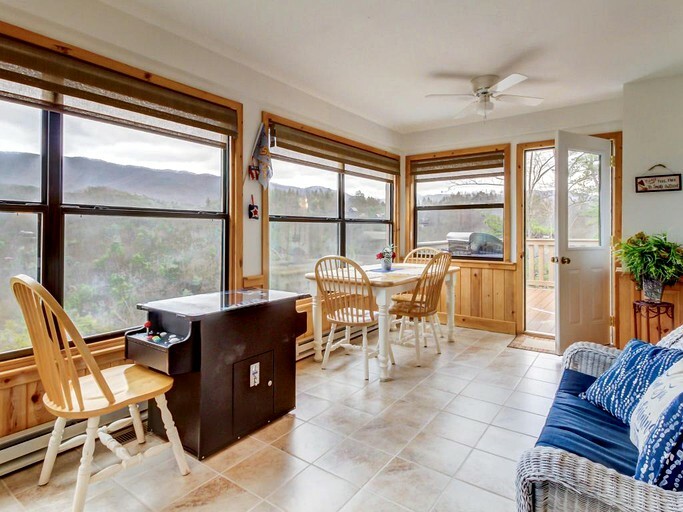 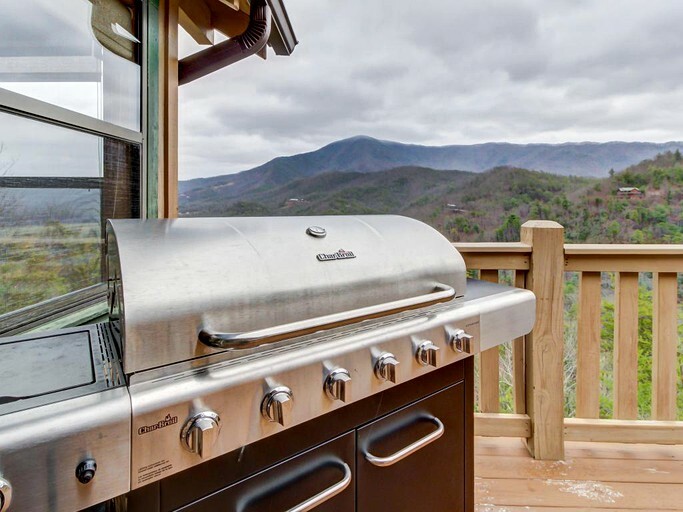 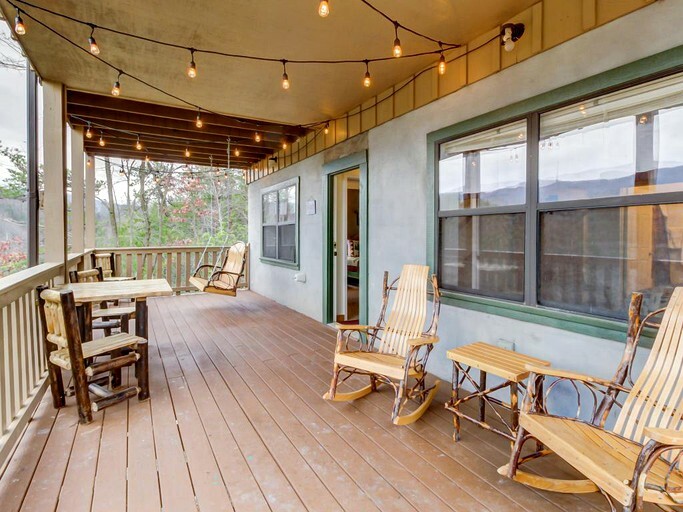 The property boasts a gorgeous deck with picturesque views of the mountains. 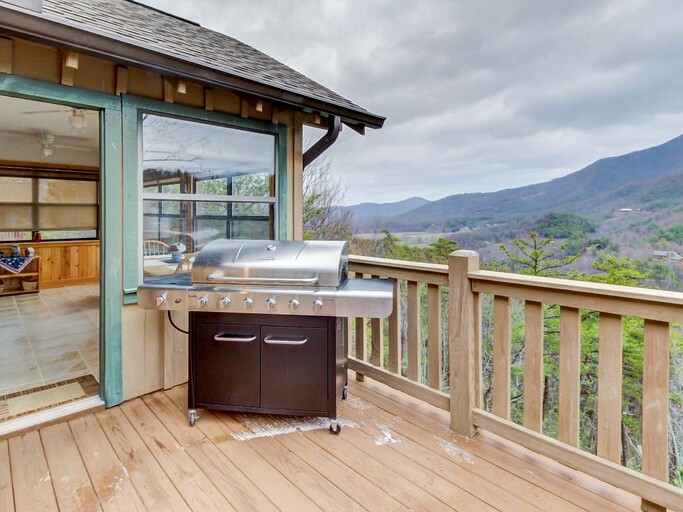 Fitted with chairs and a swinging bench, it is a great place to relax and guests can also cook up a feast on the gas grill. 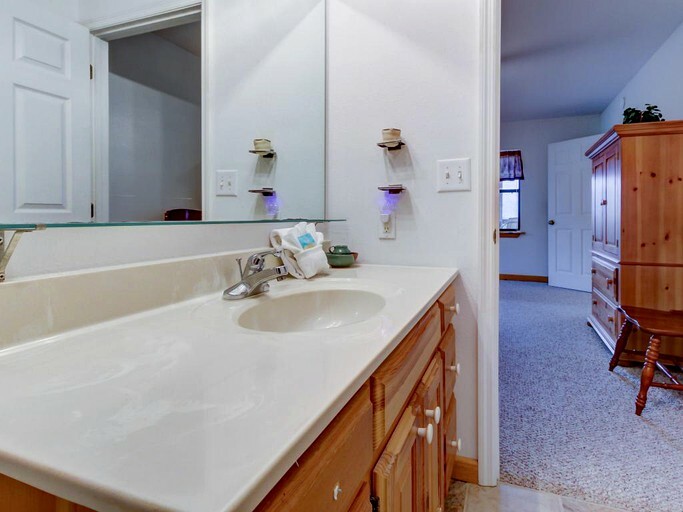 Guests will also have access to a seasonal shared pool. 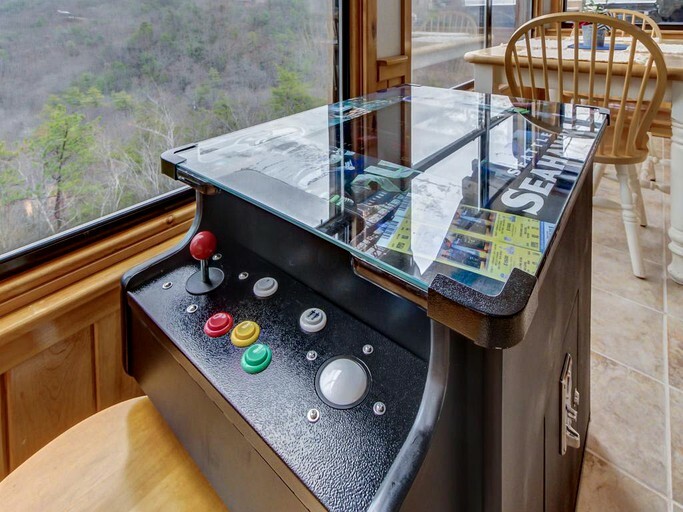 There is fun to be had for all the family while staying at this property. 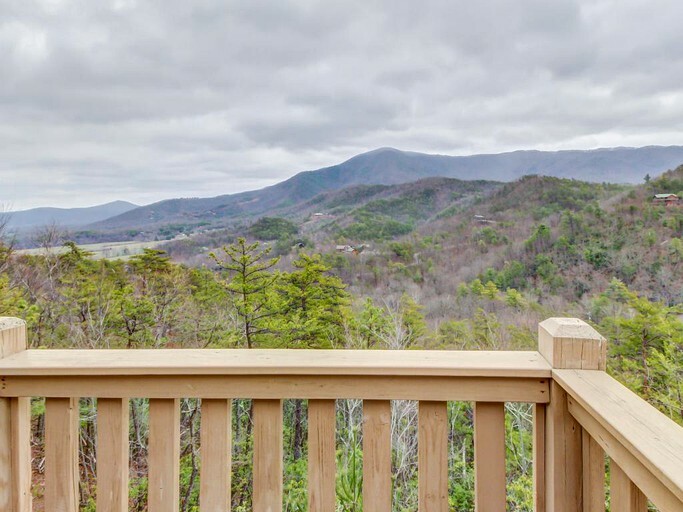 With the Great Smoky Mountains National Park just around the corner, there are many stunning local hiking trails, as well as bike paths such as the Oconaluftee River Trail and the Gatlinburg Trail. 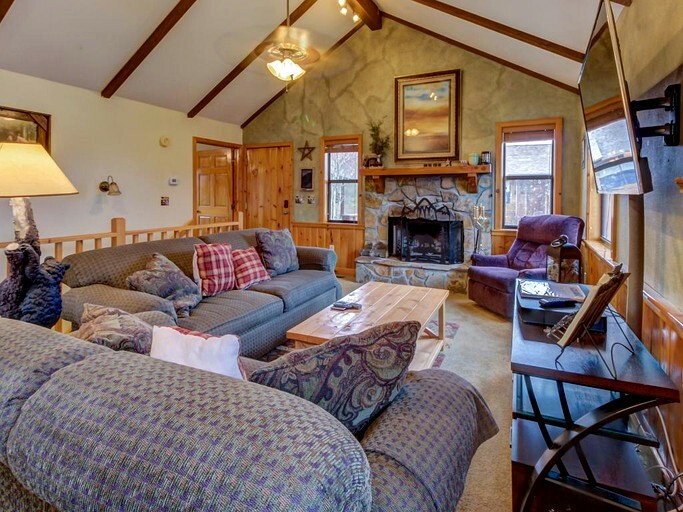 Glampers can also explore the valley at Cades Cove or hike to the spectacular cascading waterfalls that dot the park. 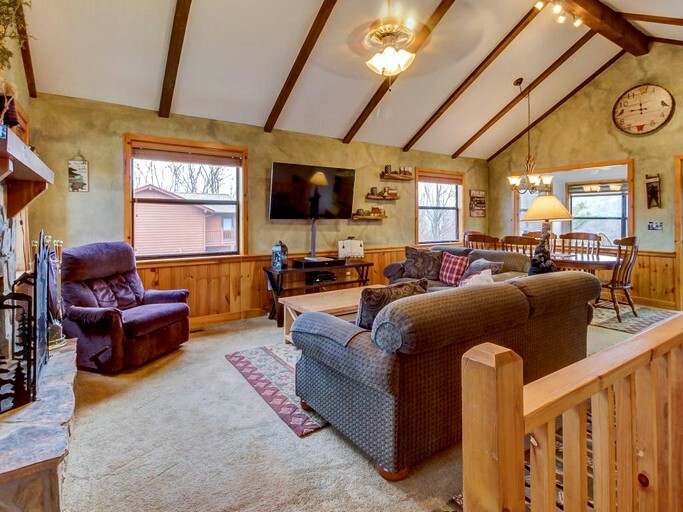 The streams are also one of the last wild trout habitats and the park offers anglers a diverse fishing experience with small headwater trout streams and vast smallmouth bass streams. 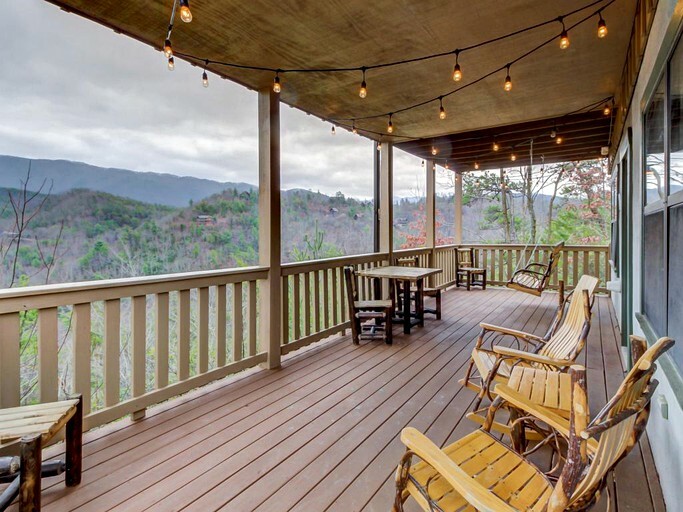 Horseback riding is another great way to explore the park while those looking to relax can pack up a picnic and simply enjoy the tranquil surrounding. 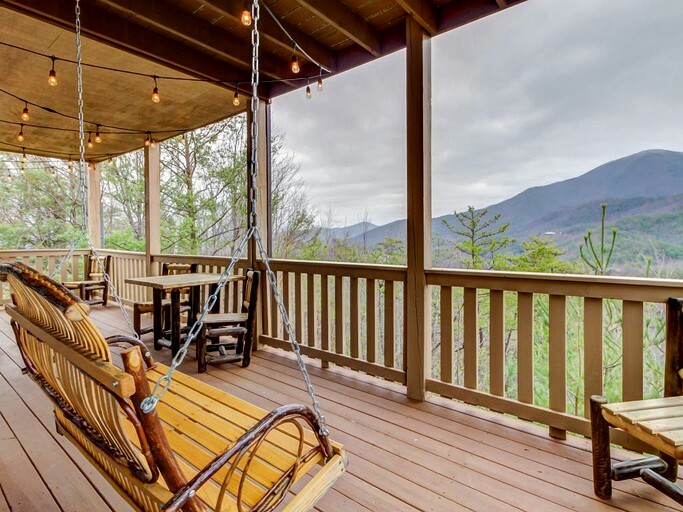 Families will also love Dollywood's Splash Country Water Park while thrill seekers can soar through the trees on a zipline tour.